UK band ICONIC EYE grew out of a solo project by composer and musician Greg Dean, when he decided to record some of his favorite compositions and then decided that there was a need for additional musicians to be involved. The end result became the album “Hidden in Plain Sight”, set for a May 2015 release through UK label Sky-Rocket Records. I understand that this band won a rock band competition through a radio station, and I can easily understand why this band managed to come on top in such a competition. The songs themselves are all well developed affairs, and a lot of thought have gone into the manner in which they develop. The overall performance is of an equally high quality, and while mix and production isn’t the greatest I’ve come across the quality also in this department is good, although not quite in the Steven Wilson department of perfection. As for the music itself, it resides somewhere inside the melodic rock or melodic hard rock segment I guess. AOR, a touch of hair metal at times, some moments of pomp but first and foremost melodic rock with an edge and a punch. UK band FM was the first that came to mind for me, but harder edged, while some of the more keyboard driven affairs made me think of Europe here and there. In the subtler details department I’d toss in Little Angels and Dokken as well. Others will probably have different associations, but these pointers will say a bit about what you might expect. In more detail we have songs that fairly often has a driving bass guitar crafting a firm foundation alongside steady, powerful drums, with dampened, compact yet rich sounding dark guitar riffs and a finely controlled lead vocalist on top to deliver the lyrics, more often than not with keyboards a finer and more ethereal presence smoothing out the edges as well as contrasting the darker sounding guitars. The chorus sections tend to be of the singalong variety, and the emphasis is on melody all along. It’s not the kind of music that will test anyone’s musical boundaries, but everything is well made, well performed and comes across as a well thought out production, and one that someone have invested many emotions in. There’s and edge and a feel to everything here that indicates that this is the result of musicians that really and truly love what they are doing, and most likely are having a jolly good time doing it as well. A few songs does impress more than the others too: Now That I’ve Found Love, You Knew and Let It Rain Down all come across as the kinds of songs you’d hope to find on compilations celebrating the very best of melodic hard rock as of 2015. Better Place also merits a mention with it’s brilliant, brittle guitar motif in the verse sections that almost had me hand out another star of perfection, but where the chorus section wasn’t quite as alluring. 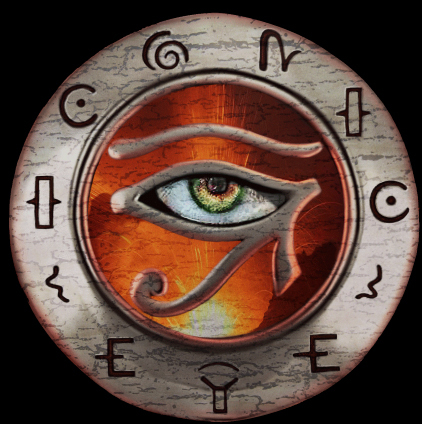 That’s the gist of it really: If you like melodic hard rock, Iconic Eye is a safe choice for an album that should give you a lot of pleasure. A production that doesn’t shy away from using contrasts and darker tones to create and maintain tension, with room for pompous sounding moments as well as details of a more brittle nature, this is a CD that would have sold by the truckloads of it had been launched in the second half of the 1980’s. In today’s market that most likely won’t happen, sadly, but a fine band that deserves to have a success with this one.